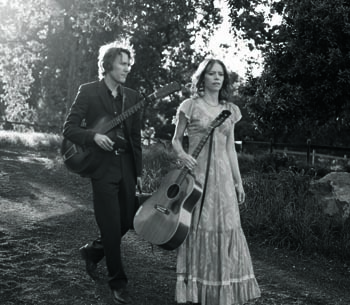 Gillian Welch and David Rawlings were featured on NPR's Fresh Air on July 18. Listen to the interview and in-studio concert. Forty-five seconds into the new Gillian Welch CD, you realize this is the real deal. It’s a low-key affair—in the absolute best possible way—with exquisite musicianship, haunting harmonies, and superlative songwriting. What more could you ask for? 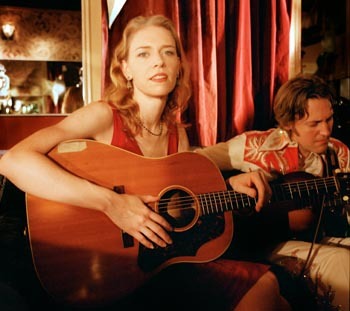 It’s also the first Gillian Welch album to come out in nearly eight years, and it’s well worth the wait. The UC Santa Cruz alumna—she graduated with an art degree in 1990—is fresh off a week full of California shows in June as the opening act for Neil Young’s Buffalo Springfield reunion tour. She has now begun a new national tour with longtime musical partner David Rawlings; they play the Cocoanut Grove in Santa Cruz on July 6. The Harrow and the Harvest marks Welch’s fifth CD in 15 years. It features nine new songs, plus a studio version of the stunning The Way It Will Be (“Throw Me A Rope"), a highlight of their live shows for the past several years. And fans of Rawling’s signature acoustic lead guitar work will not be disappointed. He’s still the Coltrane of Americana. Born in Manhattan, Welch grew up in West LA where her parents wrote for the television comedy series, The Carol Burnett Show. After graduating from UC Santa Cruz, she met Rawlings while both were students at the Berklee School of Music, and they soon began performing as a duo. 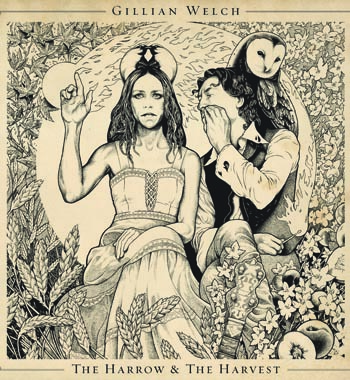 The surprise success of the O Brother Where Art Thou film soundtrack--and the release of her remarkable third album Time (The Revelator) in 2001--put Welch firmly in the spotlight of the traditional American folk-roots revival movement. She toured steadily with Rawlings, and also collaborated with musicians ranging from Connor Oberst and Old Crow Medicine Show, to Ryan Adams and The Decemberists. The impasse finally broke after inspiration struck at the October 2010 Hardly Strictly Bluegrass Festival in San Francisco. New songs were written and they hit the studio in February. The Harrow and the Harvest was officially released on June 28.